A customer called out a locksmith with the problem of a Broken Key In Lock. The following day that customer called us asking if we would go and have a look. They told us that the “locksmith” they called said he couldn’t do the job because it was an electric lock, he left site having unnecessarily sold them a new cylinder complete with 6 keys which he left behind. When I arrived on site I was horrified to find the lock completely dismantled and left in a pile on the floor behind the door! 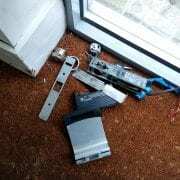 It was a pile of all the parts belonging to an electric Assa Abloy lock, live wires were hanging out of the door, the building had been left unsecured. This would have been a simple job for a professional locksmith who would know how to unscrew the cylinder, extract the piece of broken key and then screw it back into the lock, no new cylinder required! 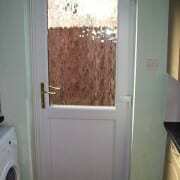 I re-assembled the lock back on the door, most importantly left the property secure and one extremely happy customer. What should have been a quick, standard priced job ended up being much more expensive. To avoid ending up with unnecessary and expensive work find a professional at the Master Locksmiths Association (MLA). Clubb Security is the only MLA locksmith and approved Which? Trusted Trader based in Tunbridge Wells. If you have any security issues please contact us. Click on the link below to read 11 facts from LV Insurance about home break ins and suggestions to make your property more secure and deter burglars. The Master Locksmiths Association director of business development Steffan George recommends securing your home and buying contents insurance wherever you live. Attended to a lady in Crowborough after a locksmith’s failed attempts to open her upvc back door with a broken multipoint lock left in tears. We were able to open the broken lock, fit a new mpl gearbox and leave her overjoyed with a working upvc back door. She thought she was calling a local Crowborough Locksmith she found on Google but it turned out that his company was in London, so do your research! To avoid disappointment call a professional locksmith and security company, preferably a member of the Master Locksmiths Association. Safe Supply, Fitting and Installation. If you have been told that you need a safe or have items of particular value, at home or work, then you should consider getting a safe to store them in. However, it’s not just a case of popping down to your local DIY store to buy one. You need a safe to be professionally specified and fitted for it to provide any real protection, also you need some advice on what safe you should be buying. What do you need to store in the safe? Does your safe need to meet insurance requirements? We will be able to specify and install the appropriate safe and size of safe that will meet your needs. For the best advice and information Contact us, also why not have a look at this link to the Master Locksmiths Association. https://www.clubbsecurity.co.uk/wp-content/uploads/burton_eurovault_aver_g1_s1_elock_closed.jpg 843 1024 Clubb Security https://www.clubbsecurity.co.uk/wp-content/uploads/header-logo-340x156.png Clubb Security2014-06-30 18:51:302014-06-30 18:51:30Safe Supply, Fitting and Installation. 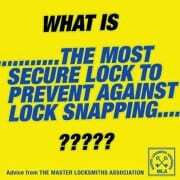 Have a look at this link from the Master Locksmiths Association for information about the most secure lock cylinder to prevent lock snapping.